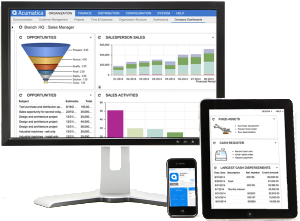 The Acumatica Customer Management Suite provides a web-based customer relationship management (CRM) application for managing leads, contacts, opportunities, and business accounts. 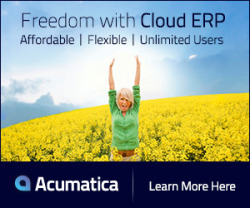 The Acumatica Customer Management Suite provides a solution to efficiently work and communicate with customers with the introduction of the Acumatica Customer Portal. New tools specifically designed for customers to see all the relevant information about their interaction and perform relevant activities online.